Girl Reading by Georgios Jakobides c. 1882. From where I sit, I can watch the lights on the FDR, curving ribbons of white and red, flowing slow as molasses. I can also watch the planes take off from LaGuardia, small blips of light tracing diagonals against the night sky. The FDR is, according to Wikipedia, a “9.44-mile (15.19 km) freeway-standard parkway on the east side of the New York City borough of Manhattan.” Besides cute 3-letter acronyms, the FDR and LGA have something else in common–Robert Moses. It was Moses who provided the original designs for the FDR (in 1934), and it was also Moses who determined that there would be no train or subway service to LGA airport. In his obituary of Moses, Paul Goldberger wrote, “His guiding hand made New York, known as a city of mass transit, also the nation’s first city for the automobile age. […] The Moses vision of New York was less one of neighborhoods and brownstones than one of soaring towers, open parks, highways and beaches – not the sidewalks of New York but the American dream of the open road. “ And that is why, if you’ve travelled to Manhattan via LGA, your experience of entering (or exiting) the city usually involves considerable time on the FDR. New York was a different city in the midst of that decline. It created the conditions for the production of entirely new types of art–among them, the abandoned buildings that Gordon Matta-Clark carved into “urban equivalent[s] of Land Art.” Matta-Clark is now the subject of a retrospective at the Bronx Museum, a fact that underscores Gopnik’s point about the rising arc. In the 1970s, when New York was deep in its decline, Matta-Clark began thinking about using the city’s derelict buildings as a medium for his art. His first act of “anarchitecture” was to cut holes into the walls and floors of abandoned Bronx apartments. A short film, “Day’s End,” documents the artist creating a “sun and water temple” out of an abandoned pier near Gansevoort Street. 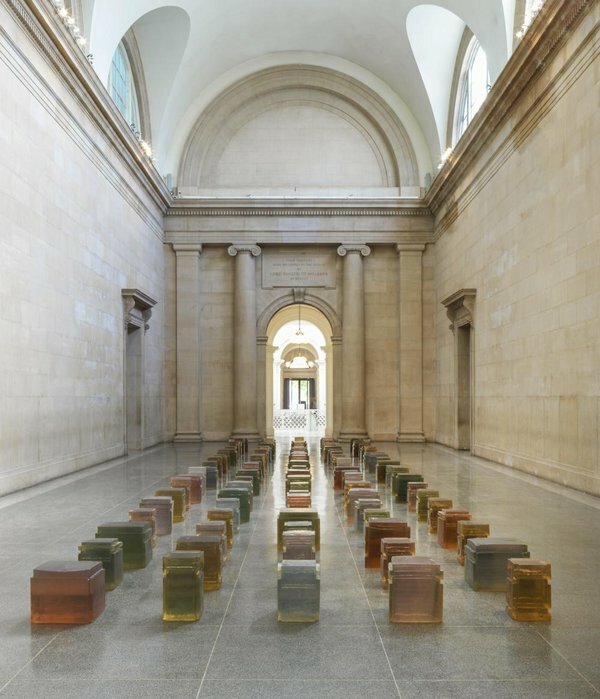 If Matta-Clark was born of the city’s decline, Whiteread is undoubtedly a product of the upward arc. No deconstruction here. In the new city, the city awash in wealth, we create cast relics, we ‘mummify the air.’ We relish the thingness of things, their taste, their touch. 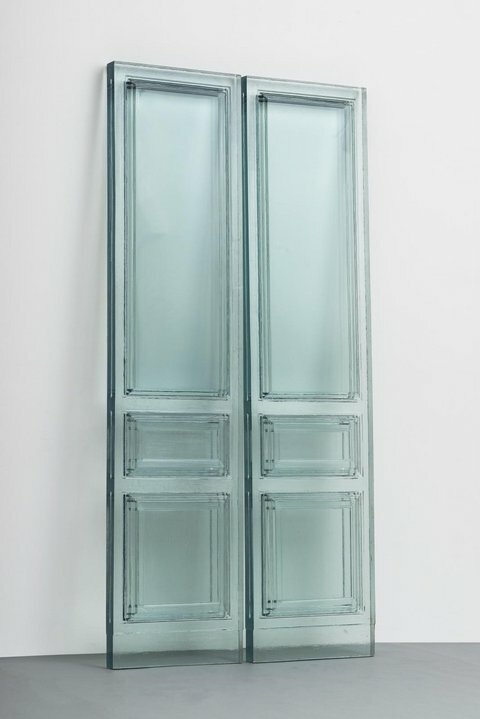 One could eat Whiteread’s Due Porte (2016), with their hard candy sheen, ingesting both their beauty and the history imprinted in that translucent blue resin. The city changes, yes, but we can hold onto history here. We can almost taste it in our mouths.